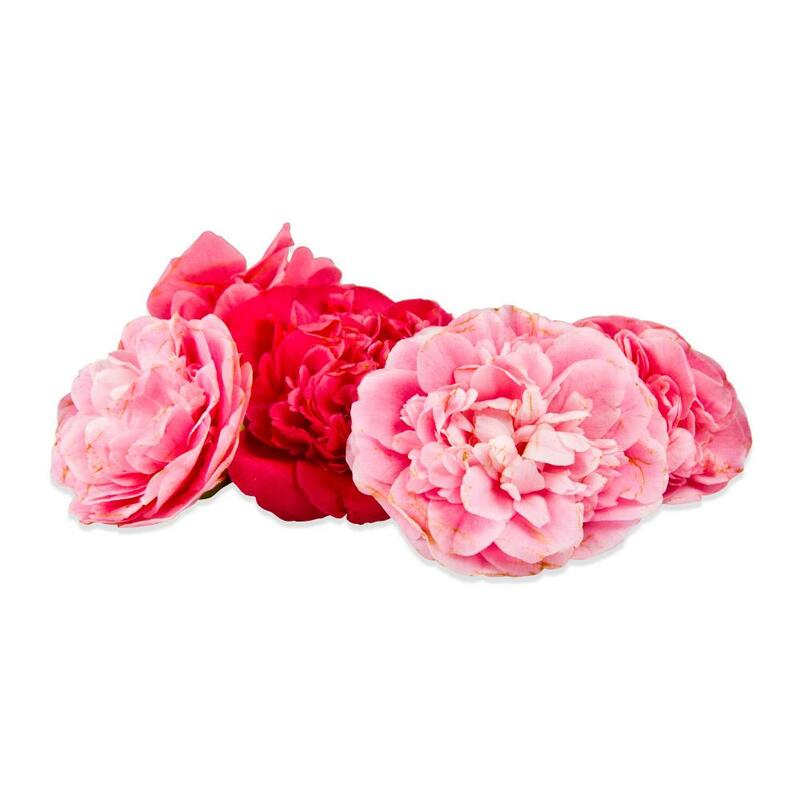 Camellia blossoms are large flowers that come in a wide range of pinks (from almost white to almost red). They are sold as a blend of colors that varies with availability. 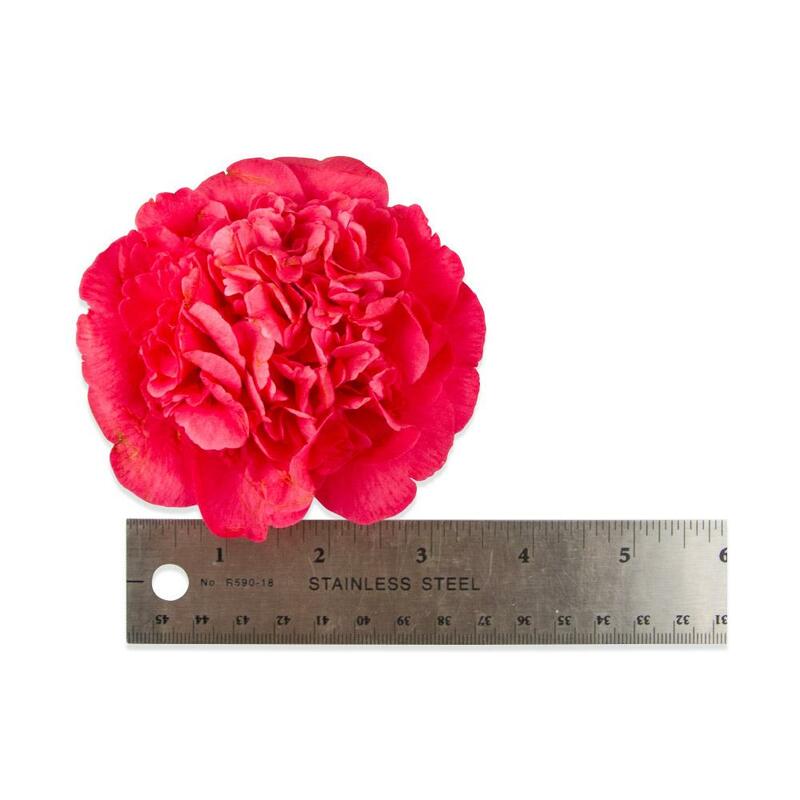 Camellia blossoms vary considerably in size. 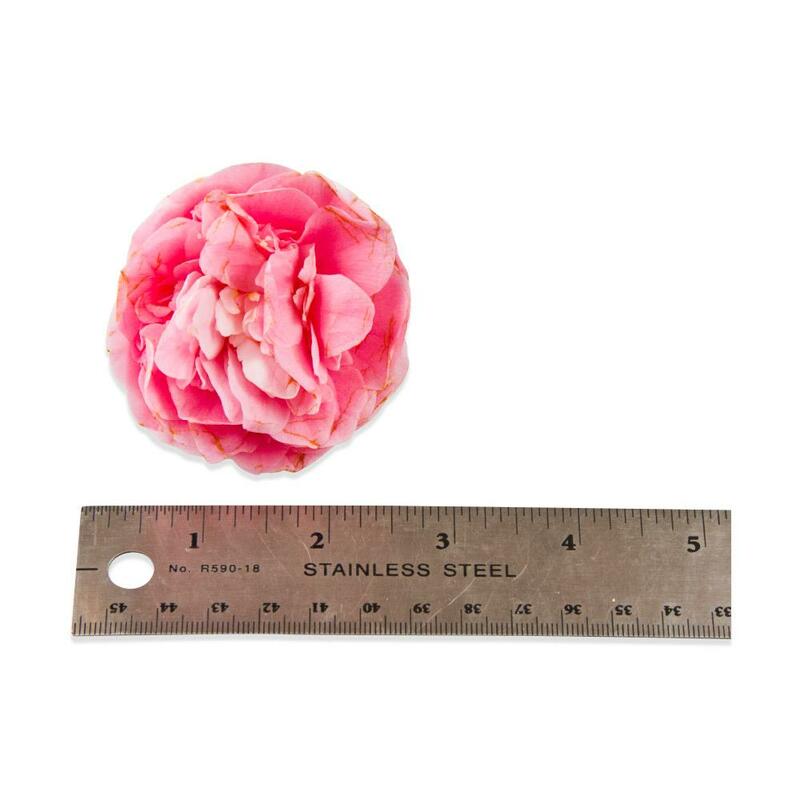 As a rough estimate, blossoms can range from about 1 1/2” to 3 ½” wide (possibly smaller or larger). They float in liquids very well and have a crisp, juicy texture and somewhat soapy flavor. 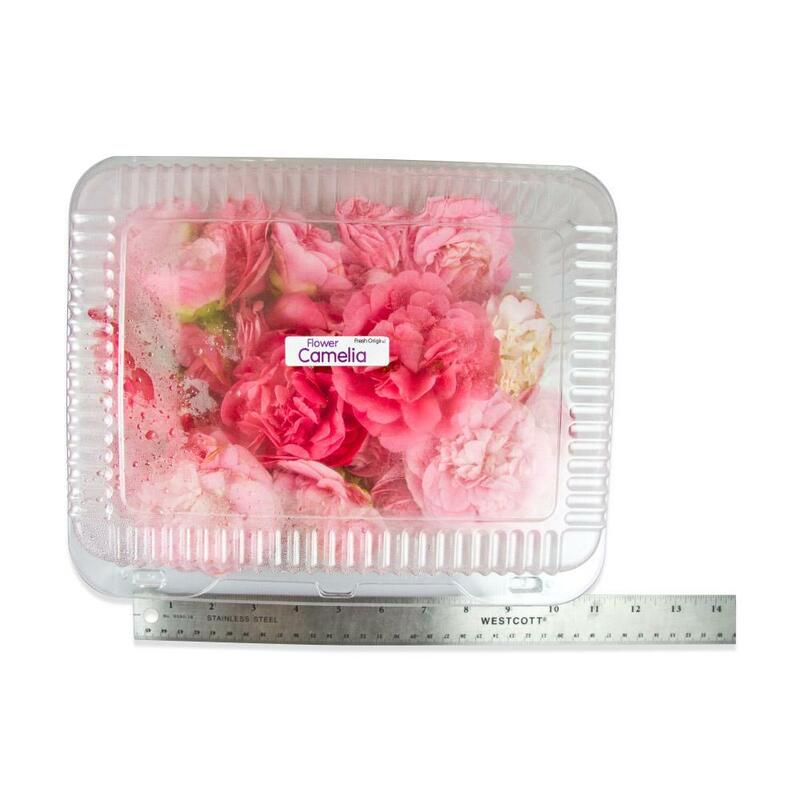 Store edible camellias in their plastic clamshells in your refrigerator. Use camellia blossoms and detached petals as decoration for plates, punch bowls, banquets and platters.